This compact Sneeboer hand fork has three sharp flattened tines to give it exceptional soil penetration in heavy clay and compacted soils. 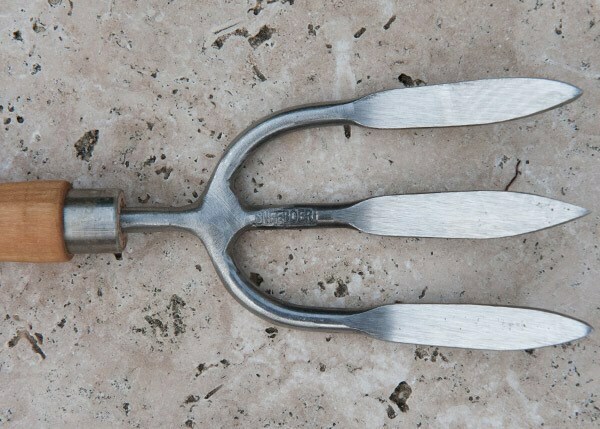 It's a great little tool for breaking up and cultivating, as well as spot weeding. 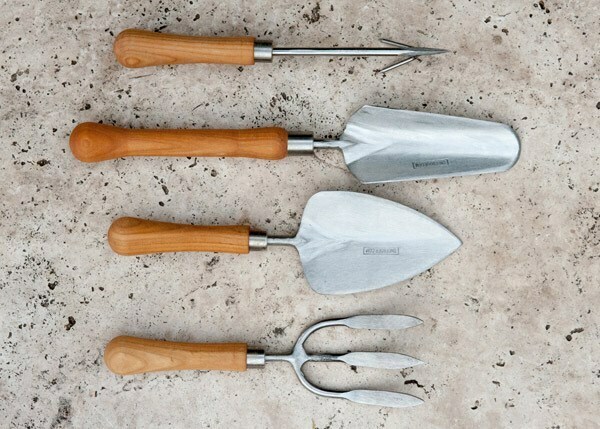 Slide the flat tines deep underneath weeds, loosen the soil and tease them out by the roots. The 12.5cm long tines are hand-forged from high-quality stainless steel before being individually shaped, polished polished and sharpened by hand. The tool is finished with a smooth FSC-certified cherry wood handle, ideally proportioned for smaller hands. Supplied with a 10-year guarantee on steel parts (1 year for the handle).